These special editions will be available as a three-CD box set, a standard edition three-LP box set on gold vinyl that includes a soft-back booklet, both released on 28th September, and a deluxe edition three-LP box set on clear vinyl with a hard-back book, shipping around November 2018. The Boston-based alt-rock band released Come on Pilgrim, which was an eight-song mini-LP, in 1987 and soon followed it with their first full-length album Surfer Rosa the year after. The new box set will contain both albums, as well as a bonus disc titled Live From the Fallout Shelter, featuring an early radio recording of the band from 1986. Surfer Rosa combined elements of pop music with grunge, and it has been cited as an inspiration by many of the ‘90s alt-rock artists to follow, including Smashing Pumpkins and Kurt Cobain—Surfer Rosa was so influential in the creation of Nevermind that Nirvana hired the album’s sound engineer, Steve Albini, to work on In Utero. 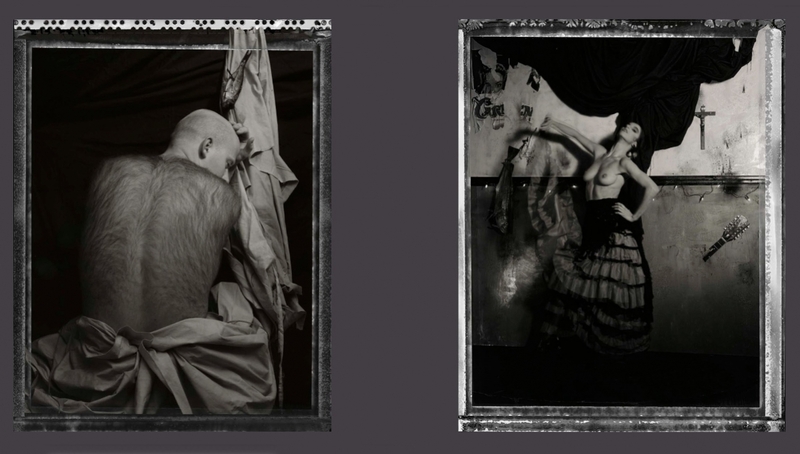 The standard three-disc or triple-vinyl edition of Come on Pilgrim…It’s Surfer Rosa hits shelves September. 28th, with the deluxe edition to follow in November. Currently, Pixies have been on tour with Weezer (without original bassist Kim Deal, who left the band back in 2013). 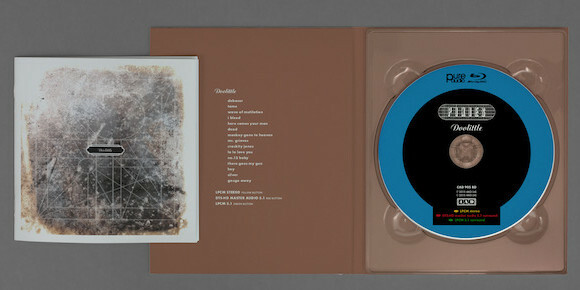 the Pixies’ promo video for the new box set is below. Come On Pilgrim… It’s Surfer Rosa, comes in three formats: a 3CD and a 3LP version pressed on gold vinyl that both come with a soft-back booklet, and a limited edition deluxe 3LP version pressed on clear vinyl with a hard-back book, lyric booklet, art book and more. Joey Santiago, lead guitarist for alt-rock band the Pixies, was never into playing fast. He says it’s just too much work. Since Pixies formed just over three decades ago, Santiago’s angular, minimalist approach to the guitar has been an integral part of the outfit’s idiosyncratic sonic palate. Rather than cramming notes into the songs, Santiago leaves space between the notes, letting his riffs ring and breathe. He says it’s about being patient and not being in such a rush. But since Kim Deal left the Pixies in 2013, during the recording of Indie Cindy, there’s been a different chemistry in the band with the arrival of bassist Paz Lenchantin, who came on board in 2014 as a touring member. Following Deal’s departure, he says, the musicians didn’t know if they were going to keep going as a band. They kept forging on, indeed. While Indie Cindy, the band’s first album of new material in two decades, was not one of the act’s stronger releases, they more than made up for it on last year’s Head Carrier, which includes tunes like “Bel Esprit,” “Might as Well be Gone,” “Classic Masher” and “Oona” that evoke classic Pixies songs. While preparing to record Head Carrier, Santiago says, the process mirrored the making of the 1989 masterpiece Doolittle. All four bandmembers sat in a room and hashed out the songs and picked the ones to demo. They took the demoed songs to producer Tom Dalgety, whom the band met in 2015, and he chose the songs that he thought would be good for the album. On the current tour, the band has been drawing from some ninety songs that it’s rehearsed. The indie rock legends’ first album with bassist Paz Lenchantin who has been the band’s touring bassist since January 2014, and played an integral part in the recording of Head Carrier features some of their friendliest, jangliest songs yet. Though they crafted a signature sound and endlessly copied . Pixies‘ music never stayed in the same place for long. During their early years, the band relished change, moving from the album “Come On Pilgrim” scrappy apocalyptic visions to their classic release “Doolittle” with its gleaming pop to “Trompe Le Monde” riff ridden rock at a rapid pace. Indeed, it could be argued that part of the reason their 2014 comeback “Indie Cindy” underwhelmed was because it tried too hard to recapture the past. On new album “Head Carrier” the band have made a few changes, the biggest being bassist Paz LenChantin. Replacing a member may be inconsequential for some bands, but for this one, it’s a big deal (pun intended): Founding bassist Kim Deal departed prior to “Indie Cindy” album and the use of a session player on the album only underscored that a vital part of the group’s appeal was missing. 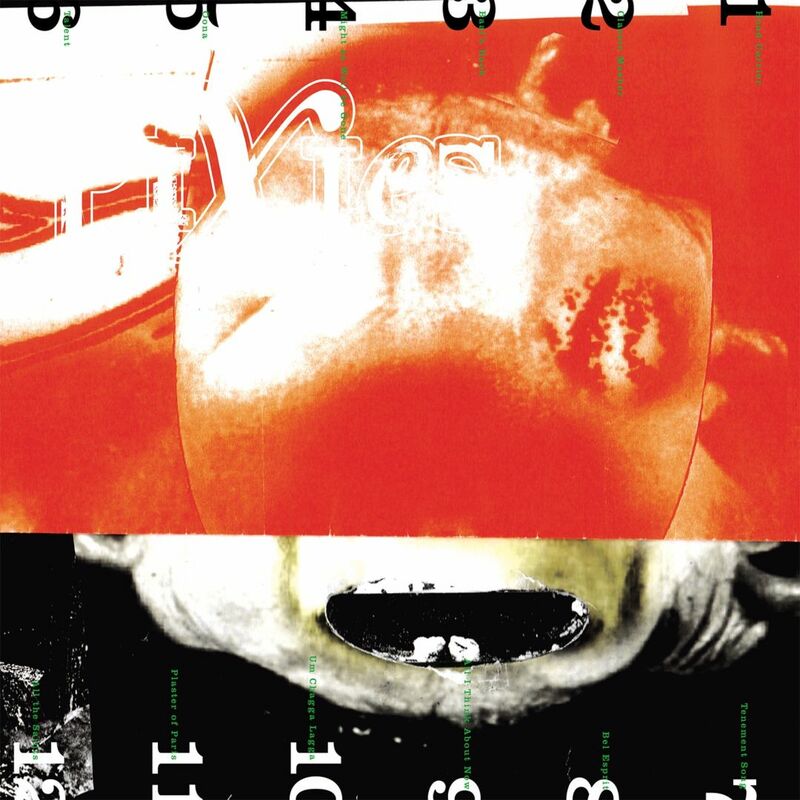 Thanks to Lenchantin the Pixies again sound like a full but if not slightly different band again, whether she’s sweetening “Oona”‘s crunch with her harmonies or helping shape the album’s character in general. The rest of the band’s ease at having her in the fold is audible, and “Head Carrier” is a surprisingly nice album. “Classic Masher” and “Bel Esprit” recall the amiable jangle of “Here Comes Your Man” and the band’s cover of “Winterlong,” and the easygoing vibe continues on “All the Saints”‘ and “Plaster of Paris.” However, the niceness turns strange on “All I Think About Now.” A musical thank-you note to Deal written by Black Francis and with vocals by Lenchantin that shamelessly borrows from “Where Is My Mind?,” it manages to be both jarring and overly nostalgic. The high-speed chase that is “Um Chagga Lagga” and the roaring title track are in the vein of classic Pixies rockers without feeling contrived. “Talent” is even better, a piece of satirical, snotty garage-rock that reaffirms Black Francis doesn’t need to sing about the Bible or aliens to let loose. 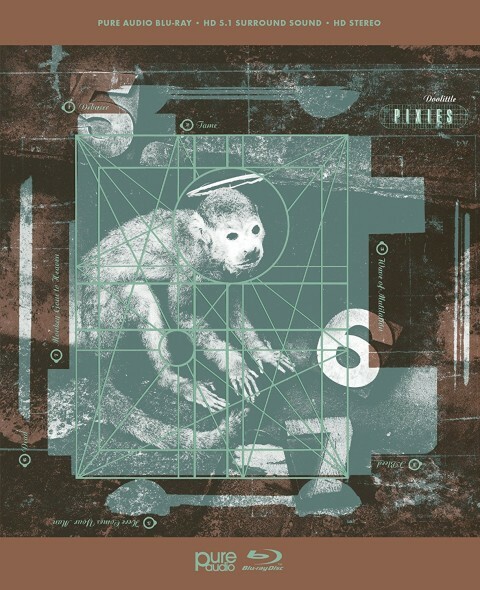 The Pixies….Band seeks bassist in to Hüsker Dü and Peter, Paul & Mary. Please – no chops. The good news for Kim Deal? She was the only person who responded to Boston alt-rock songsmith Black Francis’ classified. The bad? She came to her audition sans bass. And had never previously played that instrument. 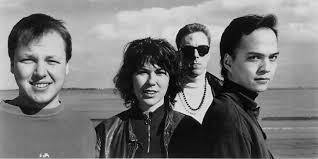 But according to Fool the World: An Oral History of a Band Called Pixies, Kim Deal was in because she dug Francis’ tunes. She borrowed sister Kelley Deal’s bass to get started.